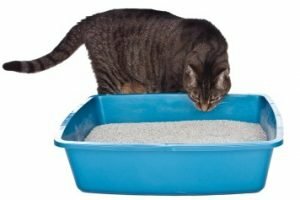 Sometimes the litter boxes are too full of litter (too high in volume) which causes the cat to get the litter on them and the bacteria from it. Many cats cannot reach that area well enough to keep it clean and that can be one cause of a urine infection and passing stools outside the litter boxes. There are several reasons for not using the litter box; this is just one of them. Only use 2 inches of cat litter in the box. Think about this…The ground outside is not that high to their rear end when they squat to go. Think about it. An isolated image of a tabby cat sniffing his litterbox. This could also be a possible cause of not wanting to urinate in the box, but again. There are many other reasons for urinating out of the box that I have not addressed here in this post. So use less litter in the box and look often throughout the day to clean them out. I have three boxes for two cats and had 3 boxes when I had 4 cats. Life is how you see it; is your litter box half full or half empty 🙂 I couldn’t resist that! 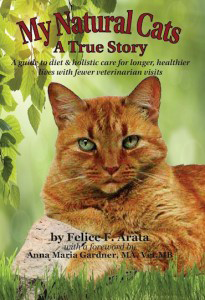 The cat food should be a brand that has a good rptieatuon and been around awhile.. also do the research on what should be in the food and what should not be. As a cat gets older the food needs to change to a better food. Some cats can handle dry and wet other cats only dry. The best combination is a tsp or two with a quality of dry food twice a day depending on your pets size. There are cats that will eat just dry food, but those sometimes end up with more hairballs which is not a problem for the cat, they throw them up easily enough but then you have to clean them up.. so that is a factor for you to consider.As for cat litter.. again make sure it is a good brand. There are ones out there that are just down right weird. But the clumping litter is good but again you want a good brand that has been around awhile and doesn’t have a lot of dust when you use it. I have several brands that I like and let price make the final decision. Unlike food you can change the litter without problems. With food it isn’t a good idea to change the food a lot.Hope this helps.